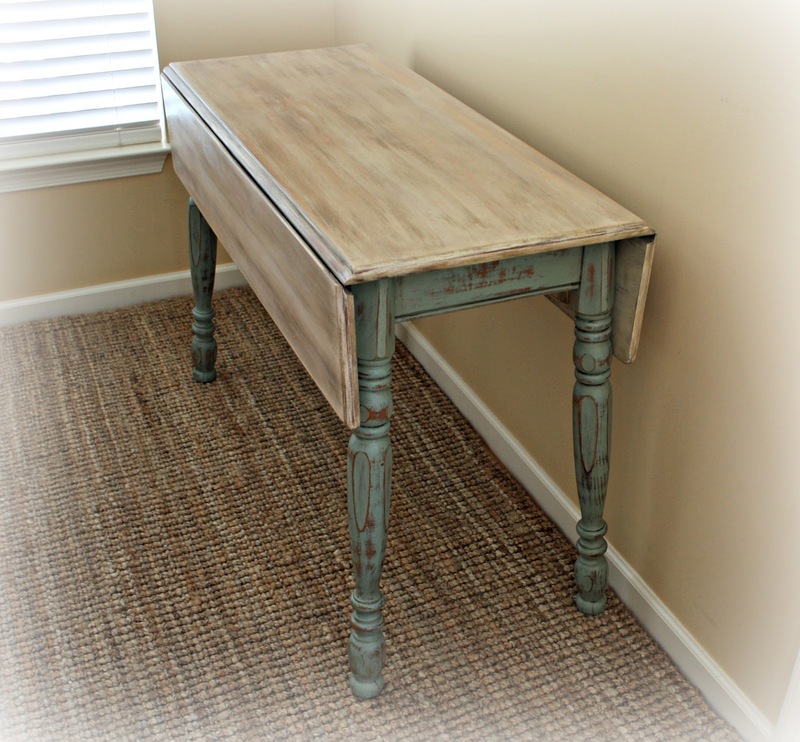 Give your old wooden goods a facelift by making glaze furniture part of your next DIY home redecorating project. Glaze furniture rehab is fun, rewarding, and would be perfect for your next DIY home decor project. Without glaze, painted furniture seems to be missing something. When the glaze is used to draw out the design and detail of a furniture piece, the piece and its new color take on new life. If you are planning on redecorating and improving your home, forget about overspending on new furniture. Give your old furniture a facelift and go with a vintage or modern look. Don’t be intimated, because DIY glaze for furniture is easy. Glaze furniture rehab is an art! Give that old furniture piece a fresh new look and let your decor shine. Glaze Definition: A smooth and shiny overlay coating usually worked with lacquer, enamel, or varnish. Don't just settle for a plain rustic beauty, especially if there's a way to jazz it up a bit. This fascinating dining set has a gorgeous blend of black, gray, and white that is sure to wow your guests! Enjoy the newfound warmth of your painted furniture with an improved vintage look in this antique glaze on painted furniture. If you have pieces at home that need a facelift to make its details pop out, then this is a must-try! Brighten up your media console that’s sure to add character to any room. In this media console in yellow with black glaze, you'll not only have a piece to house your family's entertainment center, but also a piece that makes your decor shine brighter. Give your nightstand a pop of red and black glaze that is truly eye-catching. 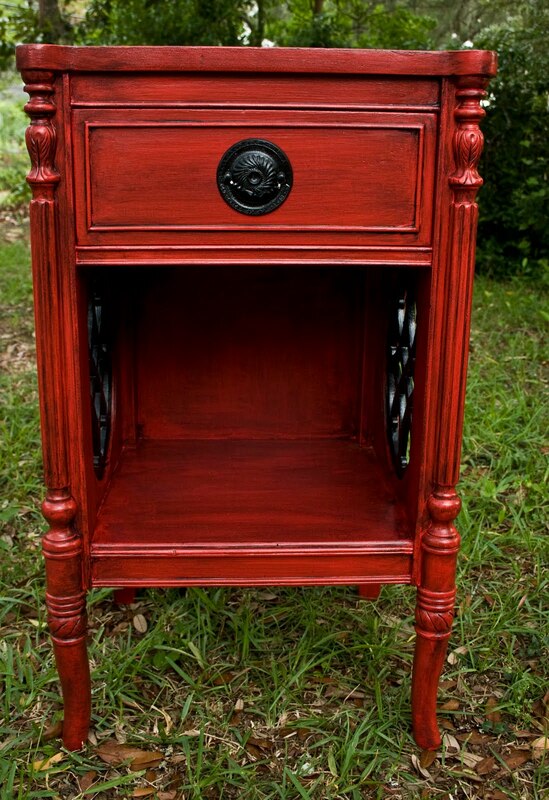 This red and black glazed nightstand will give you a powerful aesthetic bound to be your home decor's focal point. Make your plain end table glamorous with this DIY project. You'll never regret the end result! I really love metallics and using this metallic glaze has been perfect for all my projects! Give your buffet a well-deserved makeover! It’s time! 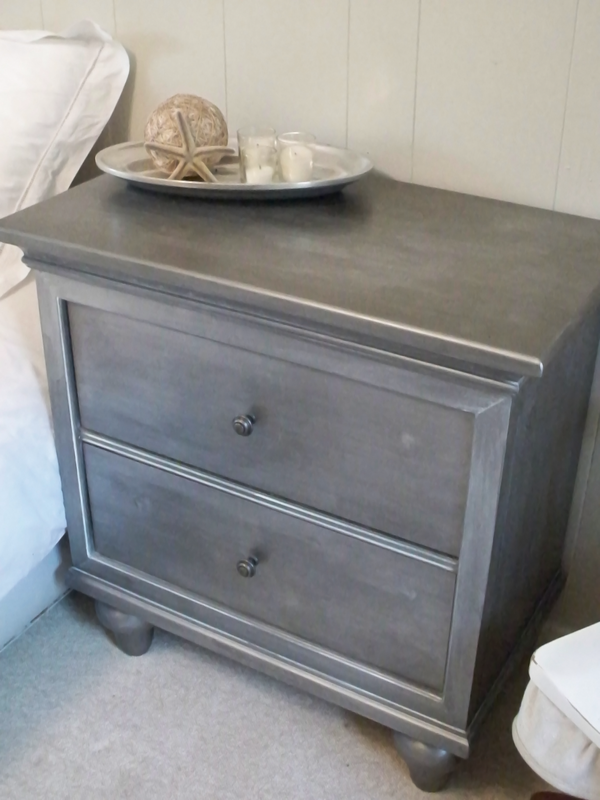 This vintage buffet was given a new lease on life using lamp black and smokey metallic glazes. Update your old table and let it become a center accent piece rather than that old table you hide in the corner, left to collect dust. With a very detailed tutorial, you'll find this furniture glaze project a breeze. Transform your own hutch with 2 coats of coco chalk paint topped with one coat of Martha Stewart Metallic Glaze in Black Coffee. The finished product is an absolutely stunning furniture set that invites compliments! Transform your old dresser and give it a crisp and fresh new look. 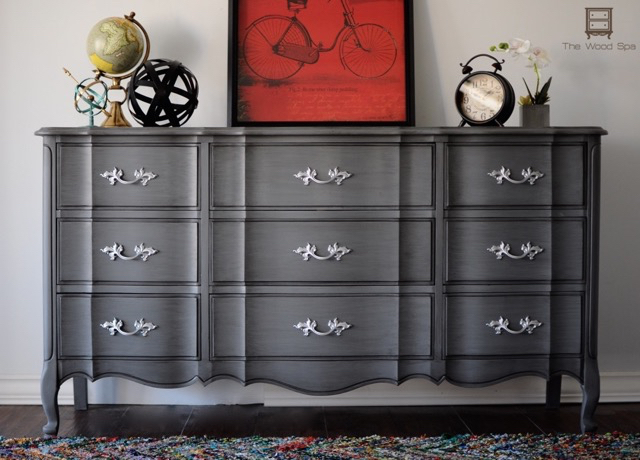 This dazzling provincial dresser has a dark gray and deep black glaze finish that would look great in any room. 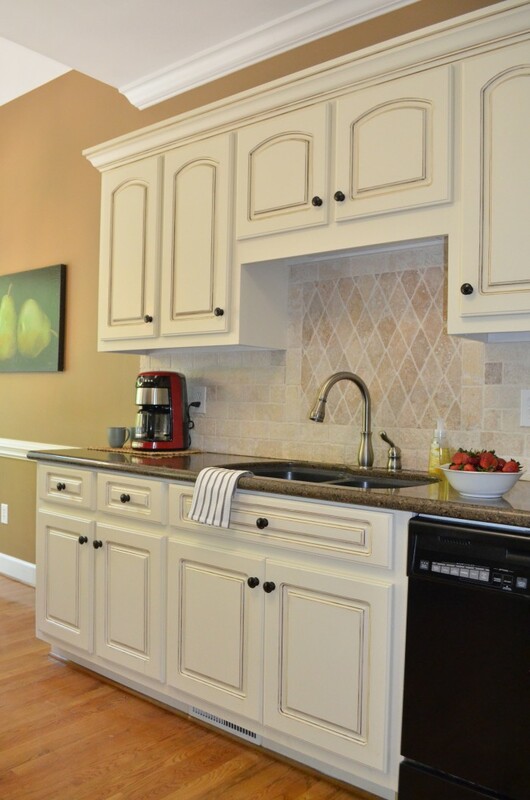 Jazz up your plain cream-colored kitchen cabinets. Glazing kitchen cabinets is a cost-effective hack to give your kitchen a stunning transformation. This white glazed dresser is surely bound to become a conversation starter in any room! It’s cool, hip, and it’s DIY at its finest. I'm sure you will no longer settle for plain white painted furniture again, now that you've seen this amazing furniture facelift. 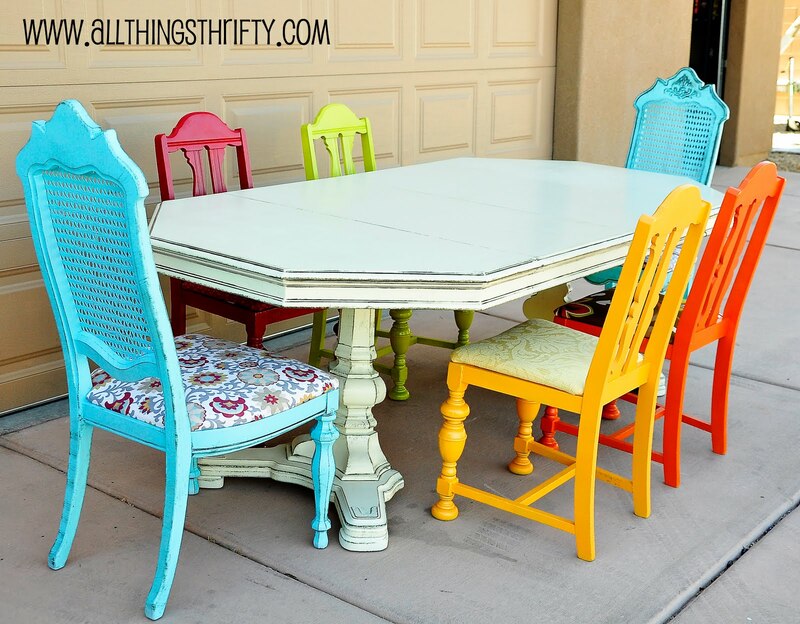 Spice up your old and plain boring dining set with this fun glaze paint idea! So, if you're looking to add a touch of whimsy and color into your home, this glazed dining set project surely fits the bill. This glazed red furniture will add that touch of drama to any room. This kind of beauty should have a place in every home, as it is an astounding piece! This hutch in antique zinc finish will get you into the DIY spirit and make you pull out your painting gear, now! It's a good thing the DIYer provided a very detailed tutorial so you can easily apply this kind of finish to your own furniture. Antique zinc is a very striking hue, making it a color to watch for. This Restoration Hardware hack will make your eyes pop out of your head! It's such a beauty, with that perfect blend of rustic contemporary that complements any home design. Would you believe that this kind of finish costs more than $1,000, but this DIY version is only for $9? You'd better check it out! If your goal is to add a bit of energy to your home decor, then try this furniture makeover in turquoise. With just some paint and glaze transform dark furniture into a cheery and bright piece. Mixing glaze with stain is a great way to enhance the beauty of your furniture. 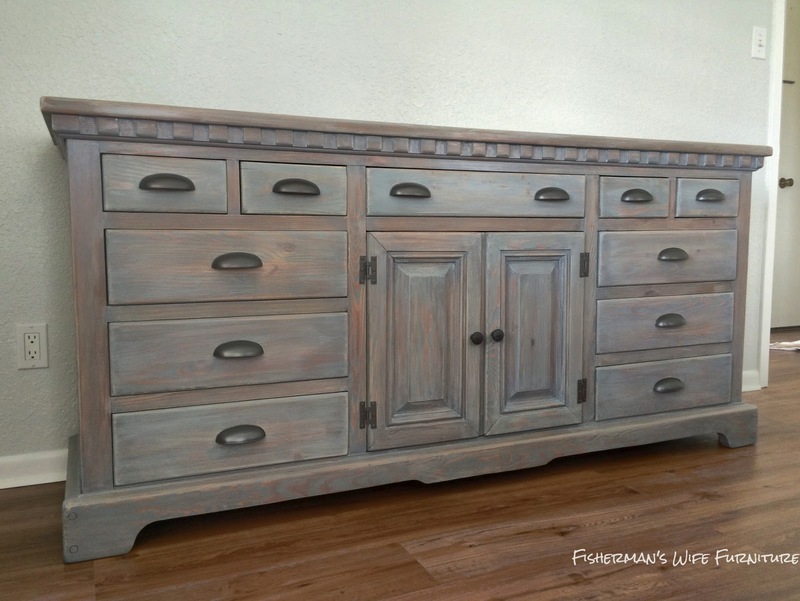 This gray stained and white glazed dresser is valiant steampunk transformation! With a dark top and weathered-white bottom half, a great combination to add a bold vibe to any room. Having a solution to prolong and upgrade your old furniture is one of the most satisfying achievements one could ever have as a DIY enthusiast. 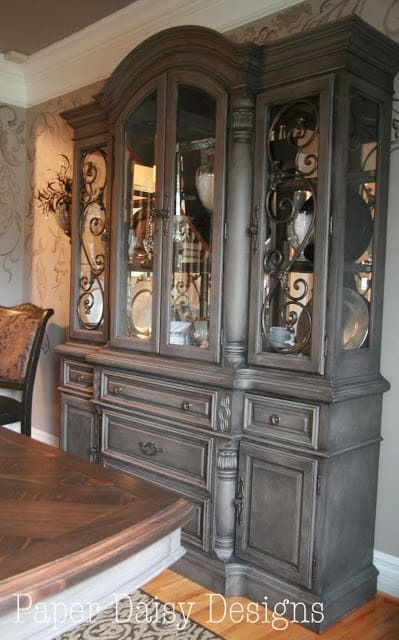 Glazing furniture is just one way to do it, but surely it provides amazing results any DIYer will be proud of! Have you tried any type of glaze furniture projects in the past? Share it with us in the comments section below! Editor’s Note: This post was originally published on September 16, 2016, and has been updated for quality and relevancy. Can you post a new link for #1? Im really interested in attempting this but the link is broken. Thank you!